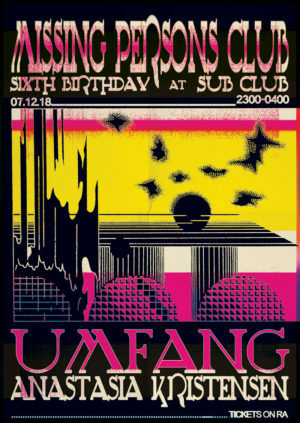 Umfang is back, after playing such a slamming set for 5th Birthday we’ve been dying to hear another one of her thunderous performances. She’ll be bringing her high octane brand of techno to the Sub Club for our 6 anos celebrations. 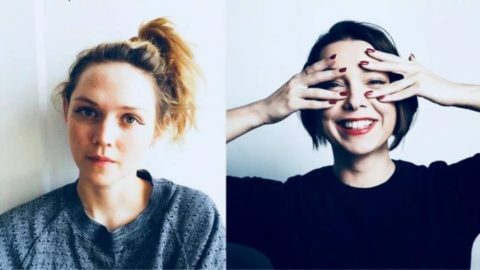 Umfang is one of three co-founders of the Discwoman organisation based in New York City. The platform was formed to promote female-identifying artists along with DJ’s from the LGBTQ+ community. Discwoman strive to achieve a better gender balance and inclusion of non-binary artists in the electronic music scene to help create a more rounded community for everyone involved. Anastasia Kristensen, another previous guest of ours who literally blew the roof off of one of our parties at La Cheetah last Summer will be bringing the heat to the Sub Club this winter. The past year has seen her rise to the top of the pile, earning performances at major festivals like Atonal, Exit and Dimensions as well as sharing an EP with Special Request and Nina Kraviz. Her ability to surprise people with her eclectic style sent dancers wild last time she visited Missing Persons Club and we’ve no doubt she’ll do the same again this time.